With a vast range of swish replacing windows and double glazing options available, you have a broad range of options to choose from whether you want to simply improve your home is appearance or want to increase the energy efficiency and security of your property. The Swish windows and doors range from Devonshire Windows comes with a highly energy efficiency five chamber design as standard but the other design choices are down to personal preference. Such choices include classic casement designs to more contemporary tilt 'n' turn style options- the choice is yours which style you opt for. All Swish doors and windows supplied come in a choice of colours including white, light oak always wood finishes as standard although there are many other options available to you which means you can specify any colour frame you like. Popular choices include shades of grey which emulate the industry appearance of aluminium windows and also green which are recommended for period and heritage properties. Of course, if you would rather, you can specify a different colour from the outside of the windows to that of the inside. Another important consideration you must bear in mind type of glazing you choose is a solid huge difference to the appearance of the window and the overall appearance of your home. Such choices include frosted, etched or even stained glass as well as Georgian bars with leaded glass so that your new PVCU windows match the charm, style and allure of your home perfectly. We are able to offer a wide range of styles and colours for your home as well as bespoke letterboxes with a dedicated range of hardware, all of which offer superb levels of security for your home. Swish Windows and doors can be supplied in any combination of colours and opening units meaning. This means you are able to specify how many openings each window has and whether these are side or top hung giving you free reign in how your windows look. Alternatively, our tilt 'n' turn windows from the Swish range offer the maximum amount of light entering your home. Increasing natural ventilation and allowing for easier cleaning, such options are favoured by many home owners. For more information, contact Devonshire Windows for details about the full range of Swish windows and doors available. Our specialist team of installers can help you choose the perfect style for your home to ensure they meet your individual requirements. Similar to new windows, replacement doors have a significant effect on the appearance of your home, transforming its overall appeal and also increasing its value. New doors will also enhance the security of your home as well as its energy efficiency and so it is worth investing in high quality systems for long lasting doors. If you want to create an outstanding first impression with a beautiful front door, why not choose a door from the Swish range? Offering a large range of entrance doors whether you are looking for a feature by folding door, stunning French doors, a secure front door or contemporary sliding doors, the Swish range has something for everyone. All entrance doors from the Swish range are made to measure and therefore tailored to meet your individual requirements. We are also able to provide side panels that can be added to create a truly stunning entrance to your property. Of course, before you choose your perfect door for your home or business, there are a number of factors to consider but our team of specialist installers are on hand to help you make the right decisions. Whether you choose lightweight and durable composite doors or low maintenance high security PVCU doors, the choice is yours. 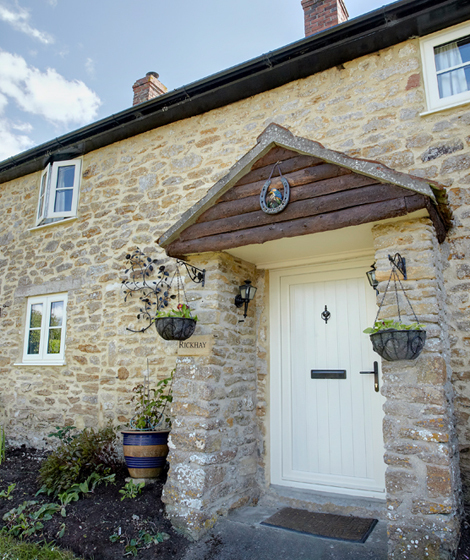 Our dedicated window and door specialists are more than happy to help you find the right solution for your home so please do not hesitate to get in touch to find out more information and see how Devonshire Windows can help transform your dreams into a reality.